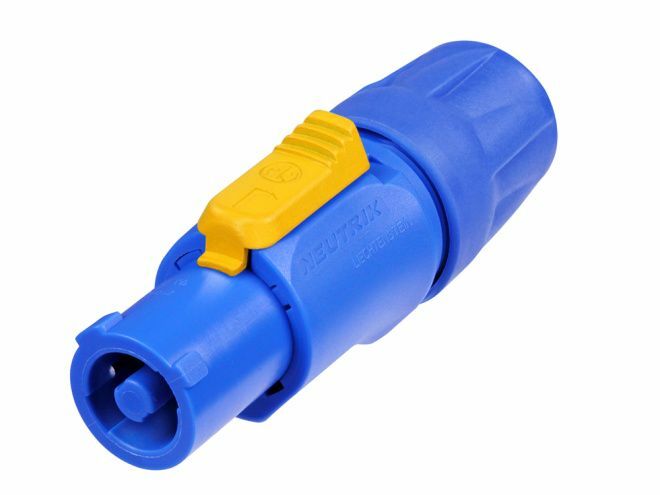 Lockable Neutrik powerCON cable connector for power-in. This connector has screw terminals. Coloured in blue.